Even though there are advanced alarm systems, security cameras and lights with motion detectors, the door locksets still remain the primary barriers preventing thieves from getting inside houses. That is why they should be selected with care. Unfortunately, many homes do not have good protection from burglars because their locks are either ineffective or insufficient in number or both. Get some practical advice on how to eliminate this issue and enjoy the security that you require. Are you sure that all entryways to your house are properly locked? You should start with any gates that lead to the outdoor area of your property. They should be equipped with strong and durable mortise sets, rim sets or padlocks. The automated ones should have an opener with rolling code technology which reduces the risk of thieves learning the code. This is important for the garage door as well. In general, automated gates and garage doors can also get physical locking devices for maximum security when you are not at home. You should consider physical lock installation very seriously. All ground-floor windows should have locks and they should be used effectively. Our experts in Tomball also recommend this for second-floor windows which can be easily accessed with the help of components like lattices. It is up to you to decide whether to opt for window locksets with basic latching mechanism or for more advanced devices which can be operated with a key. When making a choice, you have to consider the design and make of the windows. It is natural to ask whether your exterior home locks provide adequate protection. This depends on their overall condition. 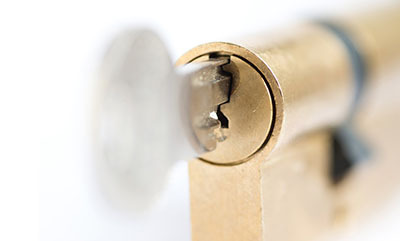 If you notice any physical damage or signs of malfunctioning, you should go for lock repair immediately. Devices which cannot be fixed have to be replaced without any delay. The second factor determining the effectiveness of locking devices is their technology. If it has become outdated or has been proven to be insufficient for providing protection, they must be replaced right away. You should certainly consider adding a second lock to the exterior doors of your house or at least to the front one. This is an effective solution for security improvement even in case you use the most advanced and sophisticated locking devices. When getting a second device, most people opt for deadbolt installation. The deadbolt is much harder to mess with. Besides, it can be used only when a higher level of security is required and not all the time.